I just found an interesting bit of information for you on income levels in St.Gallen. 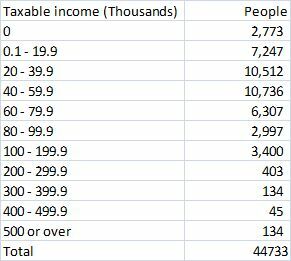 This information is published by the city tax office according to taxable income for individuals in St.Gallen city. Just to confirm though, when you look at these numbers, please don’t think that the majority of people are poor :-). Actual incomes are normally higher. Have a look at your annual tax summary to figure out how you are doing comparatively. For reference, there are around 78,000 inhabitants in St.Gallen (29% of whom are foreigners).